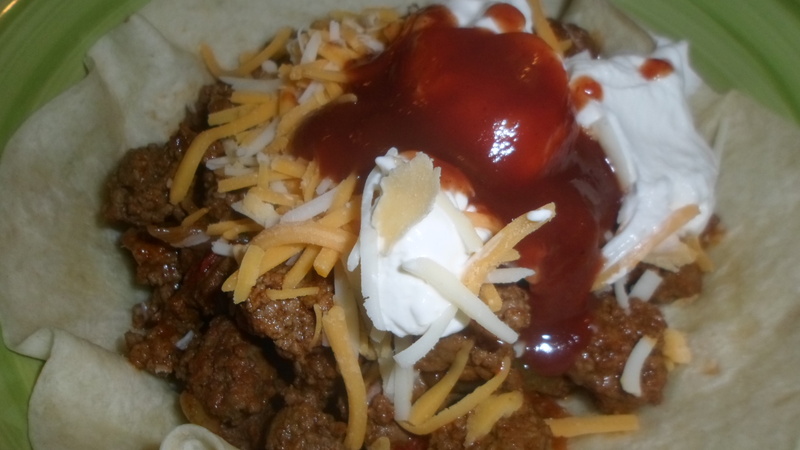 Ground meat is one of the best buys around for reasonable priced meals for your family. I buy in bulk when there’s a sale and prepare stuff ahead as much as possible. Meatballs are baked and then frozen. Meatloaf is frozen to defrost the day ahead of being made. Ground meat seasoned with salt and pepper is cooked, crumbled and drained and then frozen. Burgers are made and then frozen. This past week Aldi had a sale on 5 lbs. of ground beef for $9.95. Another market had ground turkey on a BOGO sale so it ended up being $2.20 per pound. One of these days, I’m going to experiment with grinding my own meat. Ironically I bought a meat grinder to make veggie burgers, but it’s sitting in my pantry gathering dust. First, let’s talk about meatballs. I used to buy the frozen, precooked variety until my kids rebelled and said only mine would do, claiming the others are like little rubber balls. I see their point. The only way I can make this happen, though, is to cook them ahead and freeze them. I make rather large batches, so I have at least enough for two meals when I’m done. 3-4 lb. ground meats (use a blend of at least two – beef, turkey, chicken, and pork are all great) Keep in mind, though, that beef really throws off a lot of grease, whereas the others are leaner and less greasy. For that reason, I try to use less beef. Prepare two 13 x 9 baking dishes by spraying with coconut oil. Mix meats and wet ingredients by hand, gradually adding in the bread crumbs/oatmeal/whatever, so that you can form meatballs that do not fall apart. Add sparingly, as you can always add in more, but you can’t take them out once you’ve put them in! Sometimes when using ground chicken, the meat is impossibly sticky. Using the grab and roll method with flour on your hands, and rolling the meatballs in a little seasoned flour takes care of that! Scoop meat mixture using an ice cream or cookie dough scoop if it’s not too sticky and place meatballs in baking dishes. If there is no beef, drizzle with a little olive oil. If there is beef, skip this step. Bake at 375 F for approximately 40 minutes (depending on meatball size) or until golden and the internal temperature is at least 160 F.
Allow to cool, and place in containers to freeze for future use. I defrost them overnight the night before I am going to make them for dinner. Or simply bake them with your favorite spaghetti sauce topped with cheese! Sometimes I make them big, like little mini meatloafs. You can even cook them in a muffin pan. The recipe for crock pot meatloaf follows much the same recipe as my basic meatballs. Cooking it in the crock pot is by far the easiest way to make a moist, delicious meatloaf. You can stuff uncooked jumbo shells or manicotti with meatloaf mixtures, too, or add in a little sausage to give it a zing. The recipe I use for burgers is more or less the same. I put them in a Tupperware and freeze them until the night before we’re having them. I cook them on a baking sheet, rather than standing at the stove flipping burgers.